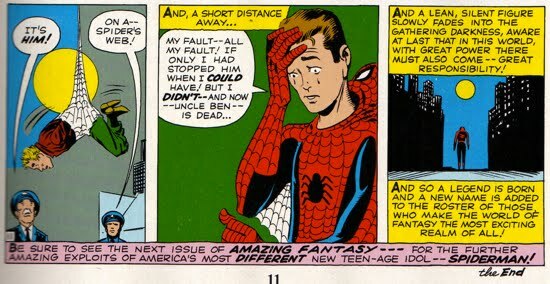 Way back in Spider-Man’s debut in Amazing Fantasy #15, Peter Parker learned a very mature concept the hard way…that with great power comes great responsibility. Peter suffered a terrible personal tragedy with the loss of his Uncle Ben, which drove him to that resolution and a constant drive to use his powers altruistically. But how would Peter feel if he found out that his most significant foe had no qualms using that mantra as well? The two examples below feature stories in which Norman Osborn, the Green Goblin, references the now classic “with great power comes great responsibility” line. Both examples come from a time when he was a ‘legitimate’ government employee. 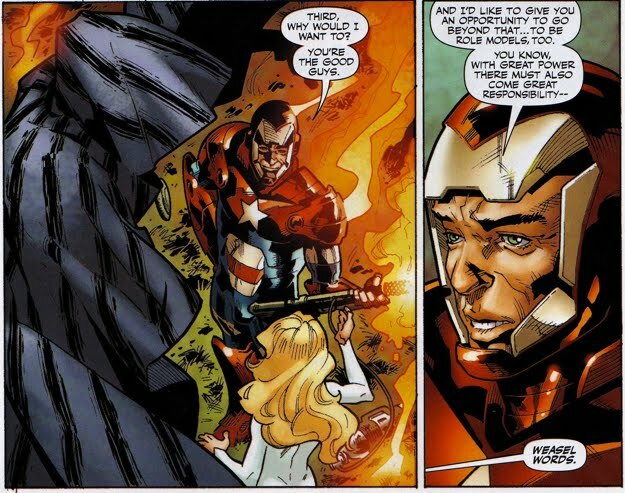 This first example comes from Moon Knight (V3) #23, as Osborn berates Moonstone regarding the Thunderbolts team. That's right! Here's a second look if you don't believe it. Osborn has somehow become well aware of Peter's hard-knock lesson! Of course, Osborn didn't utter it as eloquently as Peter has. 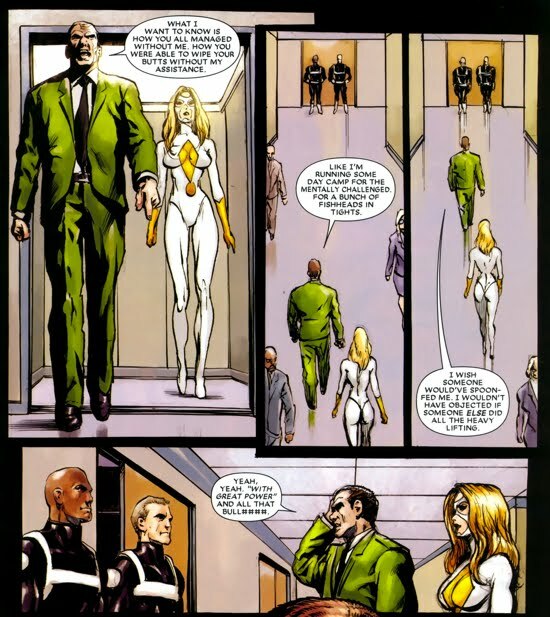 The second instance comes from Dark X-Men #2, in which Norman is trying to recruit Cloak and Dagger to join his Dark X-Men team. This has to be the most shameful usage of the phrase to date, and thankfully Cloak and Dagger called him out for using (by saying 'weasel words'). Although it should be noted that Norman was successful in recruiting the duo. This leaves us with the question, does Norman know what that phrase means to Peter?